Acne scars can last a lifetime. But thanks to our innovative chemical peel acne treatments, you donât have to live with them forever. At our Kelowna skin clinic we use a wide range of acne treatments from photodynamic therapy to chemical peels to restore the health and vibrancy of your skin. A chemical peel is an advanced skin care and acne treatment which uses a chemical solution (such as glycolic acid) to gently exfoliate the outer layers of dead and damaged skin to reveal a new layer with improved skin tone, texture and color. During an in-depth consultation, a skin specialist can assess your specific concerns, skin type and aesthetic goals to select the appropriate medical grade chemical peel for you. Which is the Best Chemical Peel For Acne Treatment? A chemical peel is a cosmetic treatment that gently removes the damaged outer layer of skin in order to uncover a healthier, smoother layer beneath. In addition, these new layers are less affected by scarring. Glycolic acid is one of the most useful products to use in an acne treatment as it successfully removes any brown spots that linger on the skin after your acne heals. Note: Multiple acne treatment sessions may be required for best results. More dramatic results than a lighter chemical peel. Don’t require the extended recovery period associated with a deeper peel. Results can be seen in as little as 7 days. Note: 2-3 TCA chemical peels will be required for the most successful acne treatment results. Our specialists understand that every patients’ skin is unique. That’s why we use VISIA Digital Analysis to create customized acne treatments that will produce dramatic, safe and long-lasting results. 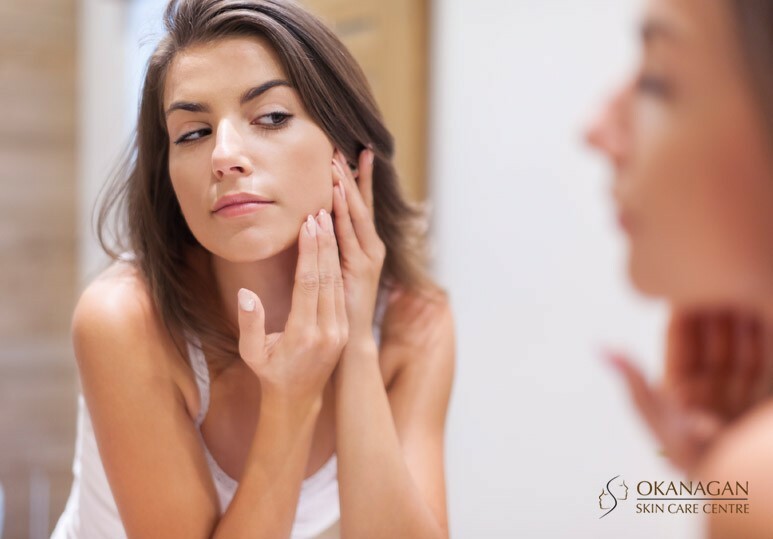 To find out more about our chemical peels and other acne treatments, contact our Kelowna skin clinic at 250-868-9290 or fill in our online contact form.